Membership consists of Ordinary and Associate members. – The Union of South Africa. – The British Armed Forces (Her Majesty’s Armed Forces). – The Republic of South Africa. – Member Nations of the Commonwealth. – The former self-governing territories known as the TBVC states. – The South West Africa Territory (prior to the implementation of UN Resolution 435). – All persons who rendered at least six months’ service with non statutory South African military formations prior to 1994 and can furnish a service number and/or proof of service. -All persons who were prevented from rendering further service by reason of ill health, wounds, disease and physical or mental disabilities sustained while engaged on service. – All persons in Armed Forces allied to the United Kingdom or South Africa. – All persons whom the SA Legion in the UK Branch Executive in their sole and absolute discretion consider to be fit and proper persons. – All persons who rendered at least six months’ service with non statutory South African forces as defined by the South African Military Veterans Act, 2011. The qualifying criteria will be the presentation of Force Number or Service Number and/or proof of service to the SA Legion – UK Branch Executive. 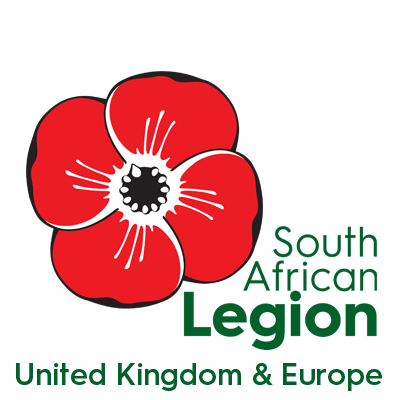 – Any adult person who is not eligible for ordinary membership of the Legion, may be granted Associate Membership by the SA Legion – UK Branch Executive. – The SA Legion – UK Branch Executive may at its discretion decline to grant such membership. – Associate membership will impose and entitle such person all the rights and privileges of ordinary membership. To answer the question as to whether ex-Police can join, the answer is YES, either as an Ordinary or Associate member. The governing criteria for ‘Ordinary Membership’ is anyone who has served in South African Security Forces – and this includes the SAP, Koevoet etc units involved in security operations in South Africa and South West Africa. Ordinary membership also considers Police who served in an operational capacity in units in the British Commonwealth as well as British and South African Allies’ units – so this opens up membership to Rhodesian Police, BSAP etc. In the event that a Police Officer feels that he/she does not fall into these criteria, and wishes to have Ordinary membership – with an adequate motivation submitted to the Branch Executive a unilateral decision can be made if the person is considered fit. To answer the question whether a veteran of the Rhodesian Armed Forces can join as an Ordinary member, the answer is YES. Again, because the SA Legion – UK is open to veterans from armed forces from South African Allies and the British Commonwealth and her Allies (in this case also NATO, which opens membership up to American vets etc.). Furthermore, as with Police if a veteran who wishes to join does not fall into these criteria a special case for Ordinary membership can be considered by the Branch Executive if a suitable motivation is included. In the event that Ordinary Membership criteria are not met, an Associate Membership can be sought – and this is open to all adults subject to branch executive approval.